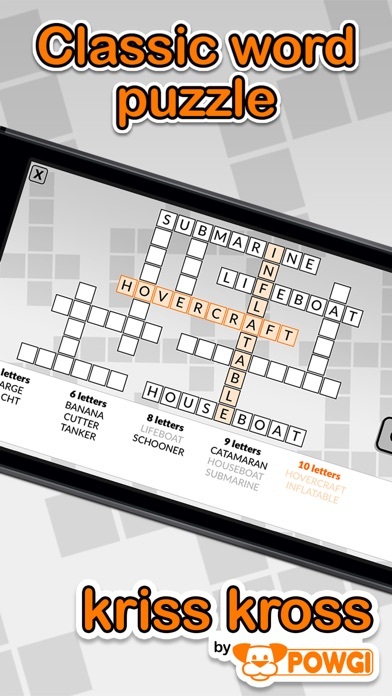 The classic word-fit puzzle. 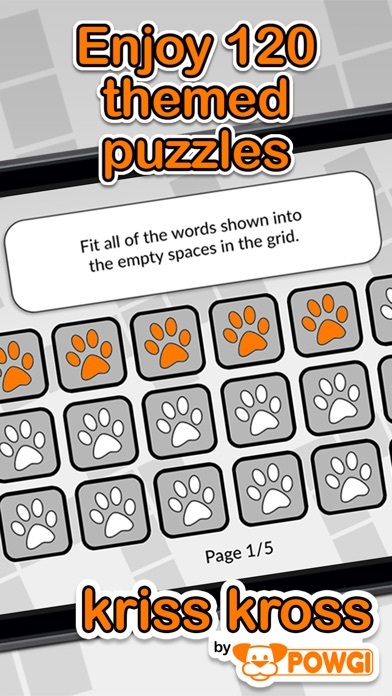 Place words into the grid using their length as a guide, and using logic to make sure everything overlaps correctly. Please email support@powgi.com if you need assistance. POWGI has excellent support and we'd rather help you than get a bad review.